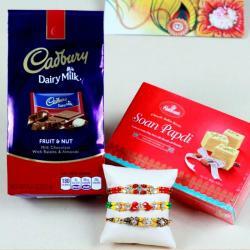 Make your brother feel way more special with this fantastic gift hamper. 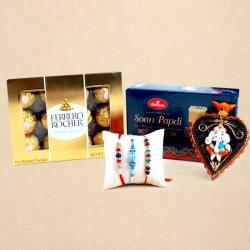 This hamper includes a set of two very beautiful and vibrant bhaiya rakhis featuring amazing stone work and brilliant colors along with a pack of Sees Extra Fancy Mixed Salted Nuts. 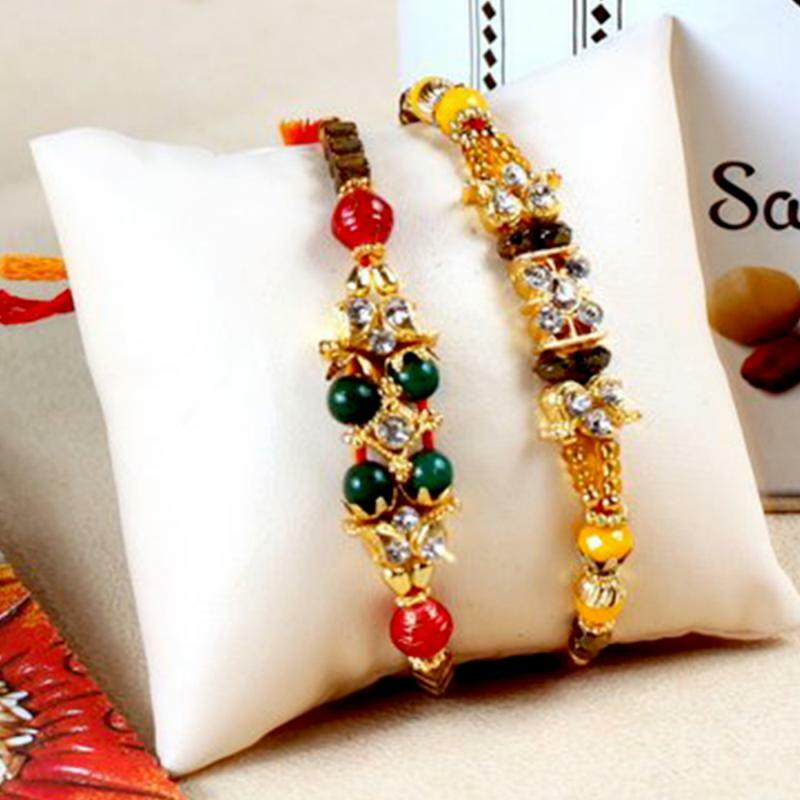 The lovely design of the rakhi is surely going to attract all the eyes towards your brother. 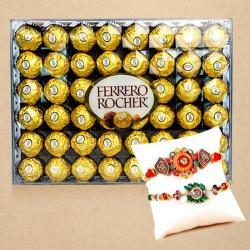 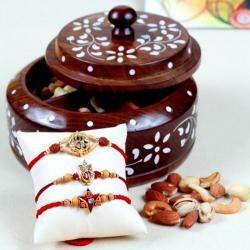 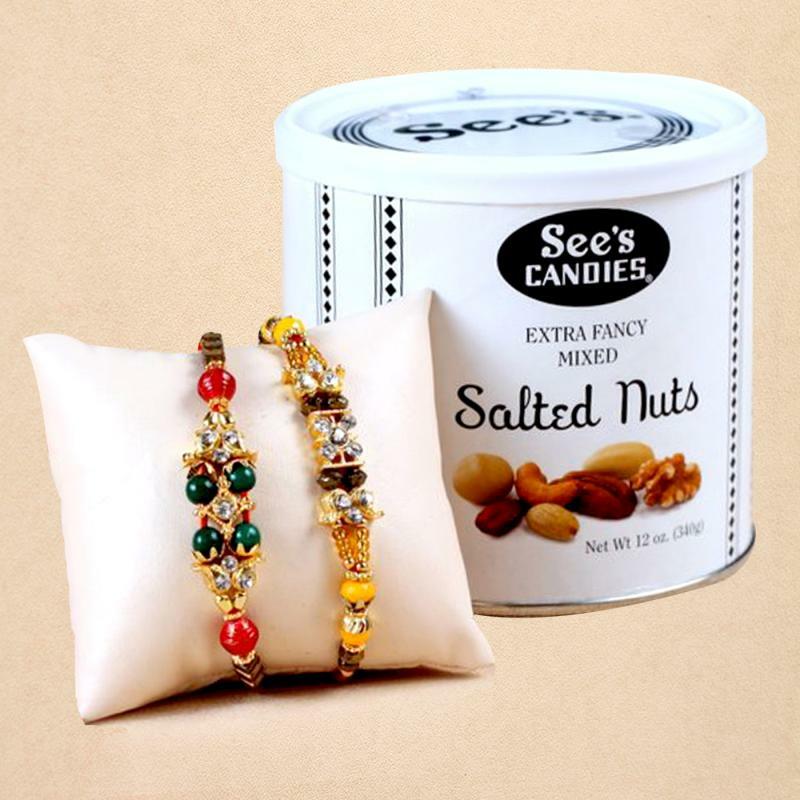 Product Details: Set of 2 Rakhis with See's extra fancy mixed salted nuts 340 Gms.